Meals at Stepping Stone School are healthy and wholesome. 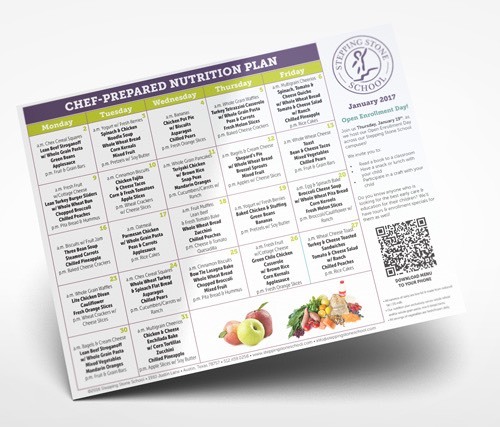 Prepared in each school’s open gourmet kitchen, three snacks and a hot lunch provide a balanced combination of fresh fruits and vegetables, lean meats, and whole grain ingredients. Our chefs ensure children receive the nutrition they need through meals they love to eat. We are vigilant about allergies and food sensitivities and our campuses are peanut-free. All meals are served family-style to enhance social-emotional development, focusing on socialization, manners, and coordination.